Remember the cute little Pug in the commercial for a telecommunication service provider? How did it become India’s most treasured dog? 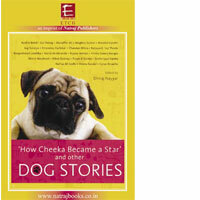 The book How Cheeka Became a Star gives answers to all these questions and more. In all, an interesting and well written book for all dog lovers! The book has been edited by Dhiraj Nayyar and published by Etch, an imprint of Natraj Publishers.